Sharks in the ocean are akin to tigers in the forest. They are apex predators at the top of a complicated food pyramid. Removing the apex predator from any ecosystem creates a top-down trickle effect of imbalances in species populations, which can eventually lead to the collapse of the entire system. 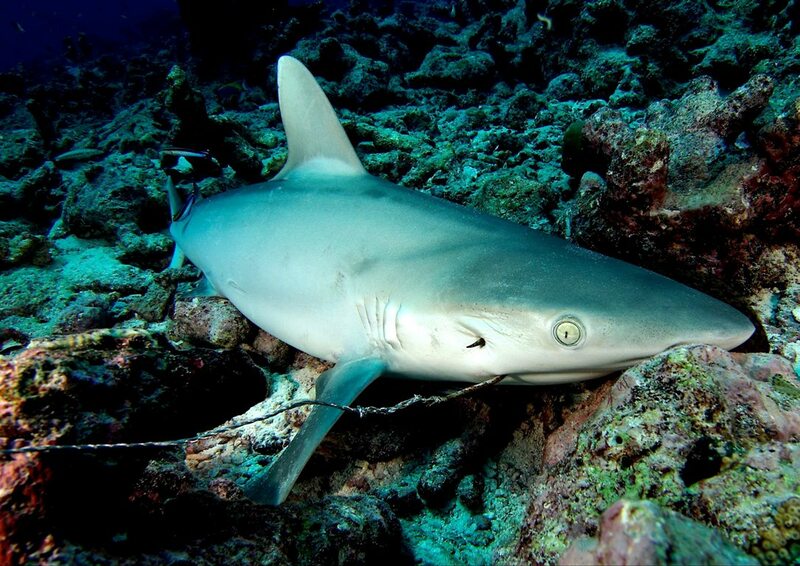 The problems with shark conservation are complex, spanning ecological, political, economic and social arenas. These are not charismatic poster-child animals. Instead, the media has successfully, albeit inaccurately, painted them as sharp-toothed, large-mouthed, stealthy killing machines on the lookout for the next human that comes surfing, diving or swimming by. Furthermore, sharks inhabit a world that is further removed from our own than other creatures that have captured the spotlight of conservation. If the well-known and well-loved tiger cannot garner much by way of conservation efforts and results, what hope does the shark have—living in vast bodies of water that most of us have little connection to? These iconic predators, keystone species of marine systems, are now facing severe threats to their very existence. 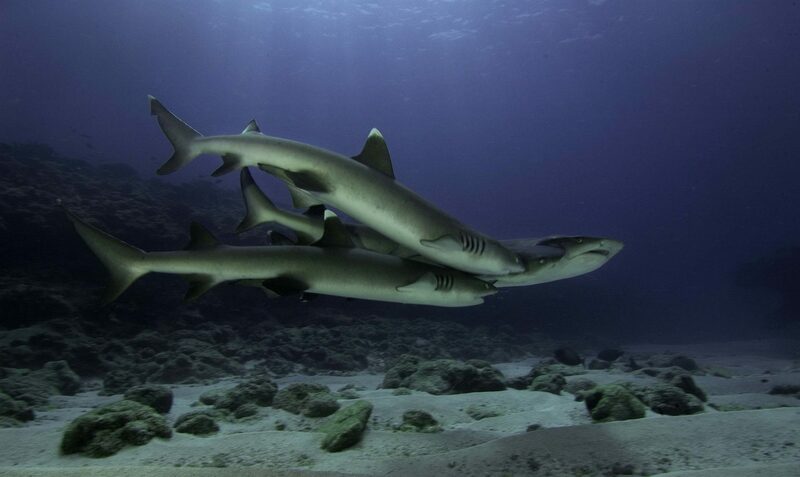 A glimpse into the precarious state of sharks in the wild reveals two serious flaws – one, in the public perception and awareness of sharks and their alarmingly dwindling populations, and two, in the international management and policy of shark fisheries. 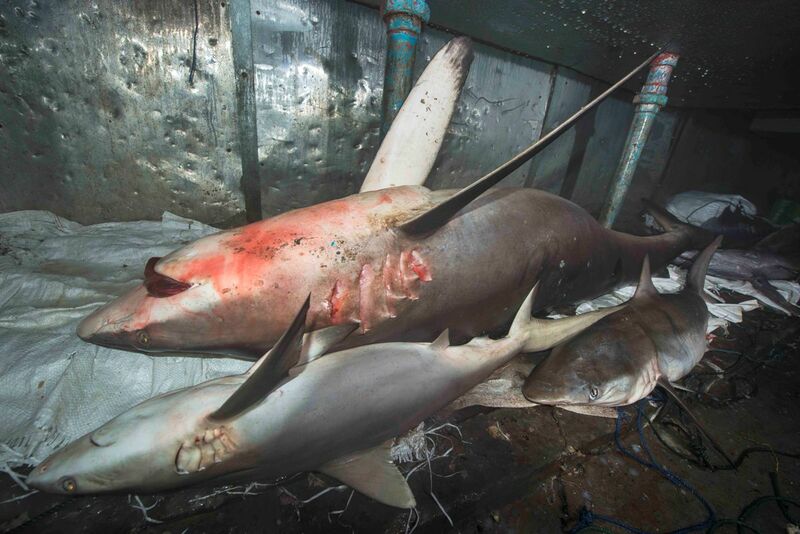 One hundred million sharks are killed every year, decimating their populations by up to 90% globally, and India is currently believed to be one of the largest exporter of shark fins in the world. Most of these sharks cater to the seafood and cosmetic industries. 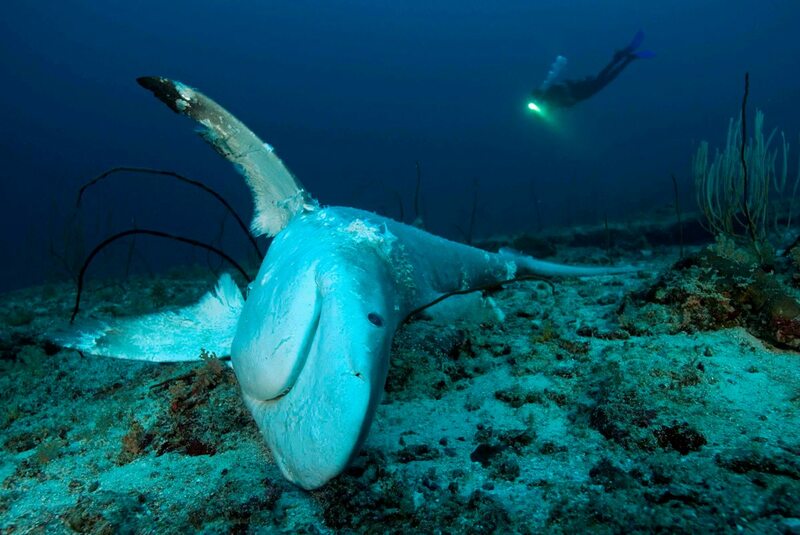 The niche consumer market for shark-fin soup has resulted in a massive increase in global sharkfinning practice, and is driven by users that seem willing to pay increasing amounts of money for this relatively bland, “status-symbol” meal. 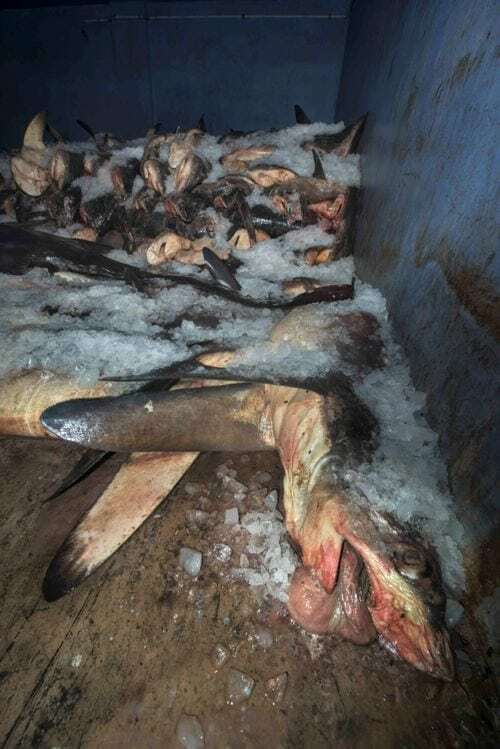 Consequently, fishermen that have the opportunity to harvest sharks fins have hit a jackpot that they will take full advantage of, sometimes even illegally. This scenario, in many ways, illustrates Berk’s Law – “The threat of damage to or depletion of an uncontrolled common resource increases its value and stimulates competition among free individuals to harvest it all the faster, regardless of the future” – Habitat of Grace. In the cosmetic industry, shark oil is used in creams and moisturisers as an anti-wrinkle ingredient. In a world increasingly obsessed with appearance and eternal youthfulness, the demand for products that promise to reduce ageing is skyrocketing. 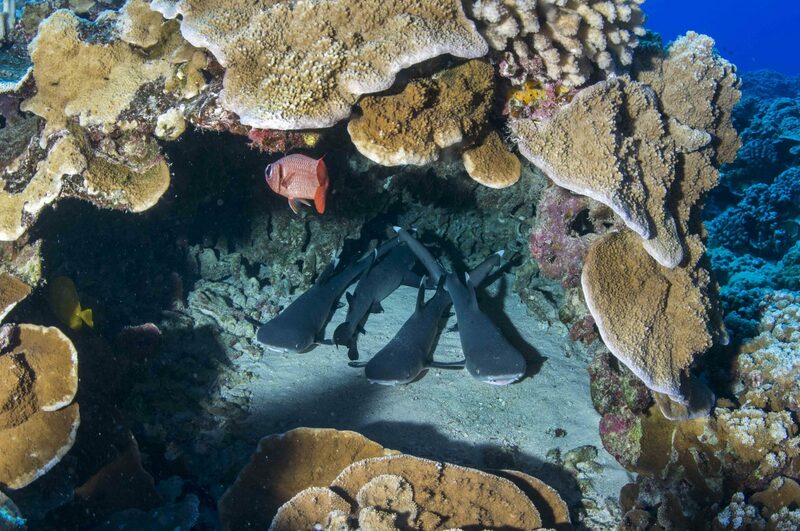 In both instances, petty indulgences are driving a wilful destruction of the earth’s vital marine ecosystems. Even today, biological information available on sharks is scarce. While human demand continues to push this group of animals closer to the tipping point of survival, scientists are continuously describing new species. Ironically, these species are often ‘discovered’ by the very fishermen whose livelihoods depend on the consumer market. Trawlers are continuously hauling up deep-water species and there is no way of knowing whether our discovery of them coincides with their extinction. In some cases, we have probably lost the opportunity to better understand these enigmatic creatures. Tasneem Khan is the Assistant Director of the Andaman and Nicobar islands Environmental Team, India, tasneem@anetindia.org. Umeed Mistry is a diver and photographer, umeedmistry@gmail.com.